The Global Command Center 2.0 platform empowers organizations leveraging M2M to provision and manage their connected devices via a single pane of glass. That enables businesses to scale their IoT devices as needed while still keeping their implementations manageable – even if they involve devices at a wide variety of far-flung locations. Home security company SecureNet Technologies is using the platform for rapid deployment of customizable smart home-as-a-service features, including home automation, video monitoring, environment control, energy management, and interactive alarm control. Mo Nasser says Global Command Center 2.0 is Sprint’s next step in addressing the expanding IoT world, in which we’ll see growth both domestically and internationally. Global Command Center 2.0, a new global iteration of the Command Center Sprint launched four years ago, is now available in more than 200 countries. Softbank, which now owns 80 percent of Sprint, brings an international perspective to the service provider’s business, Nasser adds. In fact, Softbank is the first customer of the Global Command Center 2.0, which the company is using to expand globally the M2M program it started in Japan. Sprint also is working to add other Global Roaming partners to the Global Command Center 2.0 to offer customers least cost routing for their M2M traffic. That way, M2M customers will get access to the best pricing for connectivity around the world. In addition to taking Sprint’s M2M effort international, the Global Command Center 2.0 will also be part of the company’s move to address non-cellular connectivity options for the Internet of Things. 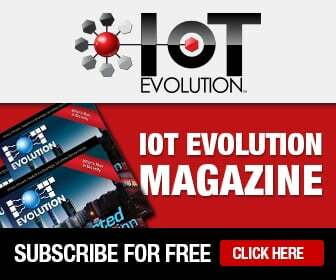 Sprint is currently working to bring technologies like Wi-Fi and Zigbee, as well as wireline technologies that can be used for M2M connectivity, into the loop. The idea is to ensure that whatever mix of connectivity Sprint’s M2M customers use remain manageable through a single interface. While that’s still in the works, the Sprint Global Command Center 2.0 can already be considered a multimodal solution. That’s because it supports an array of cellular technologies – including CDMA in the U.S., and GSM and UMTS elsewhere. As a result, Sprint M2M customers have the ability to use a single SIM on their devices that can connect using whatever cellular network is available, and can be provisioned and managed from the Global Command Center 2.0. The Global Command Center 2.0 and Sprint’s turnkey M2M packages targeting specific industry verticals and use cases are all examples of how the company has moved up the value chain to become a solutions provider as opposed to simply a big pipe. Insurance, retail, and transportation are three key verticals for which Sprint offers M2M packaged solutions to date. The company is also exploring creating special M2M packages for the health care and security verticals, as well as the consumer wearables arena. Transportation today comprises a substantial portion of Sprint’s M2M business, says Nasser, noting the relationship between cellular and the location technology commonly used in transportation solutions. That dovetails with some of the things happening in insurance, including on-board diagnostic systems that track the behind-the-wheel behavior of drivers, he adds. There’s also a lot of potential for IoT in retail, which is all about differentiation from the competition, says Nasser. IoT and M2M can help enable that by providing a means through which businesses can connect with their customers at a different level. That may include using beacons to recognize who just walked into a store, leveraging existing data to understand the value and past buying decisions of that individual, and presenting marketing messages and offers to that customer (via the person’s own smartphone or tablet, or perhaps a digital sign) at the ideal time. IoT can also tie in with retailers’ loyalty programs and point of sale solutions. Sprint’s M2M strategy has already seen great success. The company’s M2M business is experiencing robust year-over-year growth. And Sprint now enables 6.2 million M2M connections. • includes diagnostic and troubleshooting tools.